At the start of the twenty-first Century the story of Africa’s engagement with international law was one of marked commitment and meaningful contributions. Africa pioneered new areas of law and legal remedies such as international criminal law, universal jurisdiction and gave human rights jurisdiction to a number of new international courts. However, in recent years African states have mobilized politically and collectively against the regional courts and the ICC, contesting these institutions’ authority and legitimacy at national, regional, and international levels. 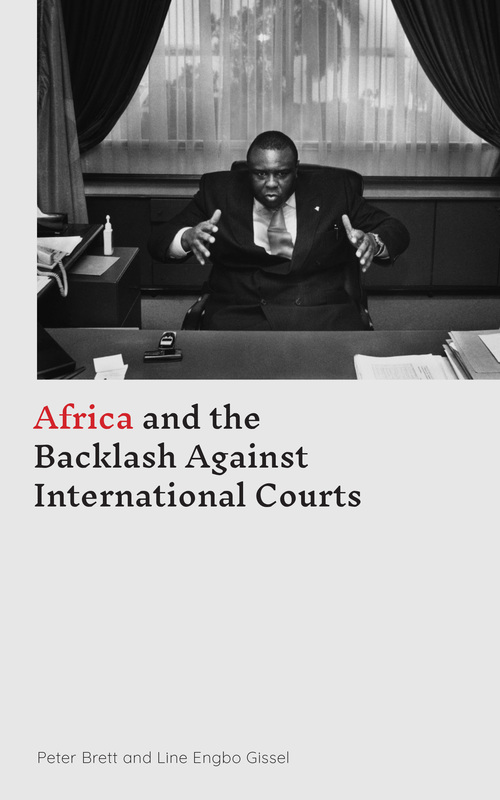 The African Backlash Against International Courts provides the first comprehensive account of this important phenomenon, bringing together original fieldwork, empirical analysis and a critical overview of the diverse scholarship on both international and African regional courts. Moving beyond conventional explanations, Peter Brett and Line Engbo Gissel use this remarkable research to show how the actions of African states should instead be seen as part of a growing desire for a more equal global order, a trend that not only has huge implications for Africa’s international relations, but that could potentially change the entire practice of international law.